Young Waters’ twisted neo-folk is a tapestry of emotionally powerful vocals, stirring harmonies, lyrical strings and finely mastered acoustic guitar. Their exhilarating rhythms and intricate melodies, coupled with a repertoire that combines startling original material with traditional folk songs, makes for a captivating stage presence. This young band are set to make a big impact in 2018. 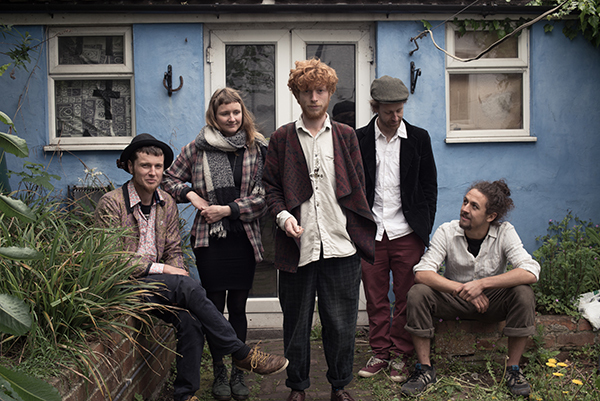 They burst onto the London / Bristol folk scene in 2015 as Snufkin, and have been making a name for themselves ever since. A live album, ‘Live from The Fayre’ (recorded live at Rollright Fayre), followed by a host of festival appearances (including Glastonbury, Secret Garden Party, Wilderness, Boomtown and Smugglers) have cemented their reputation with fans. They rounded off the summer by winning Bath Folk Festival’s New Shoots competition, earning themselves a recording session at Peter Gabriel’s legendary Real World Studios. They have put their time at RealWorld studios to good use, recording an album due to be released in Autumn 2017. Young Waters is a five-piece band led by Theo Passingham (vocals and guitar) with Kerry Ann Jangle (vocals and percussion), Liam O’Connell (double bass and vocals), Calum Smith (violin) and Rowen Elliot (viola).